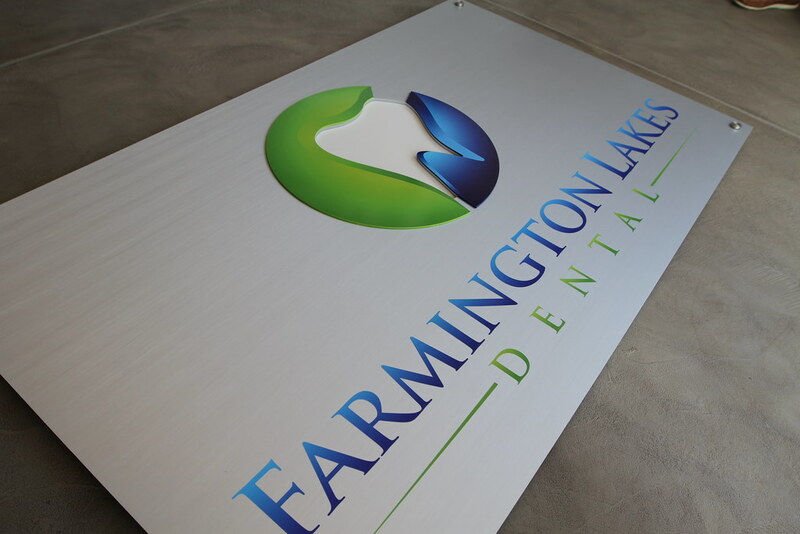 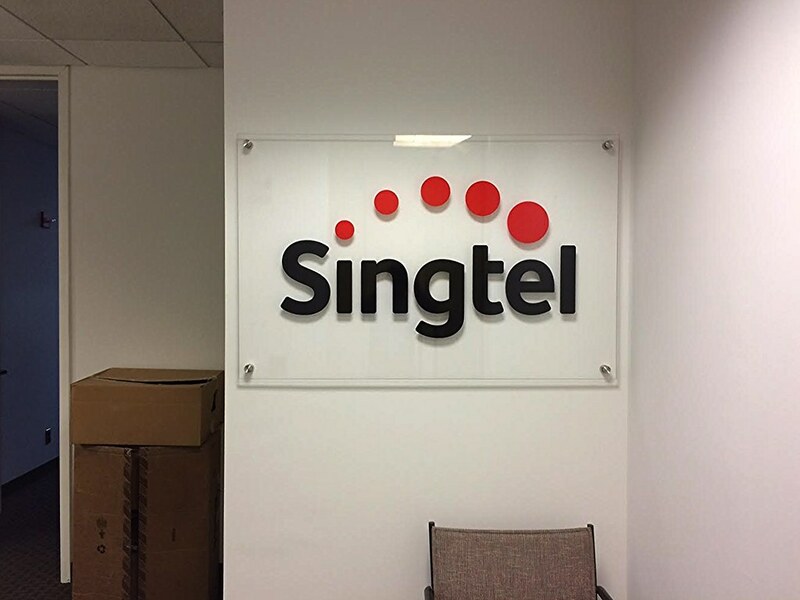 Panel signs are a great way to make your logo “pop”. 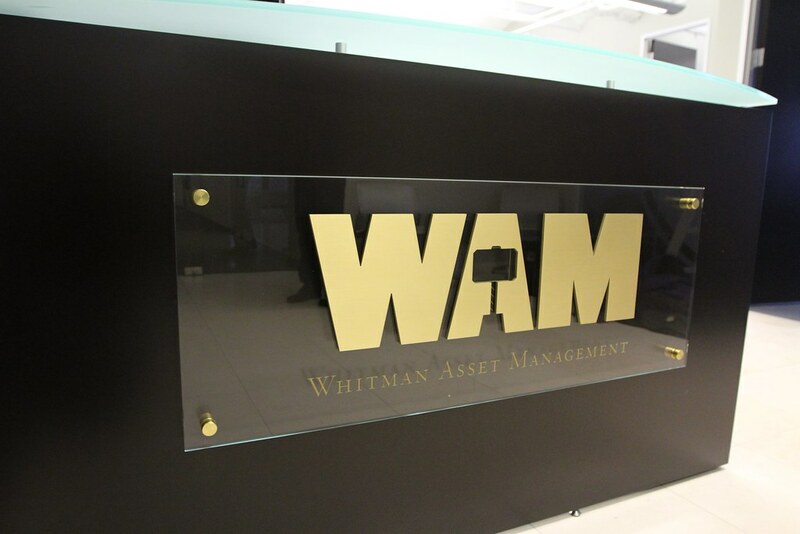 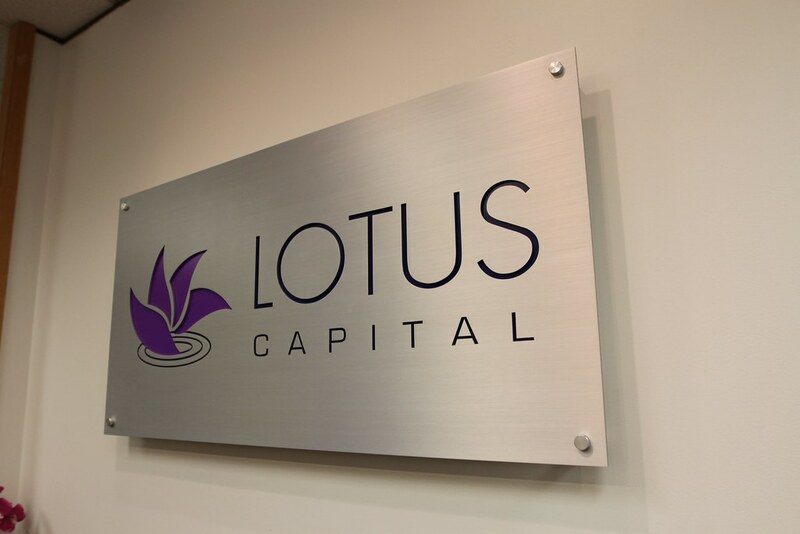 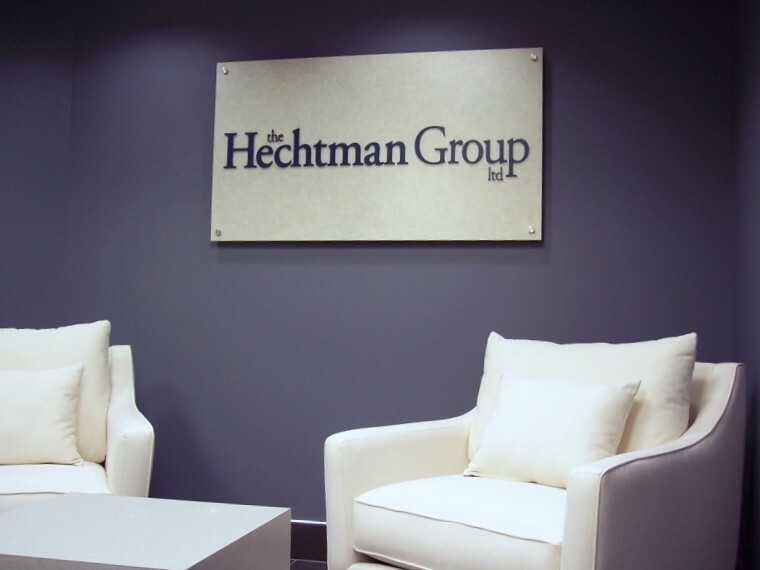 All of our cut metal letters and logos can be mounted to a panel. 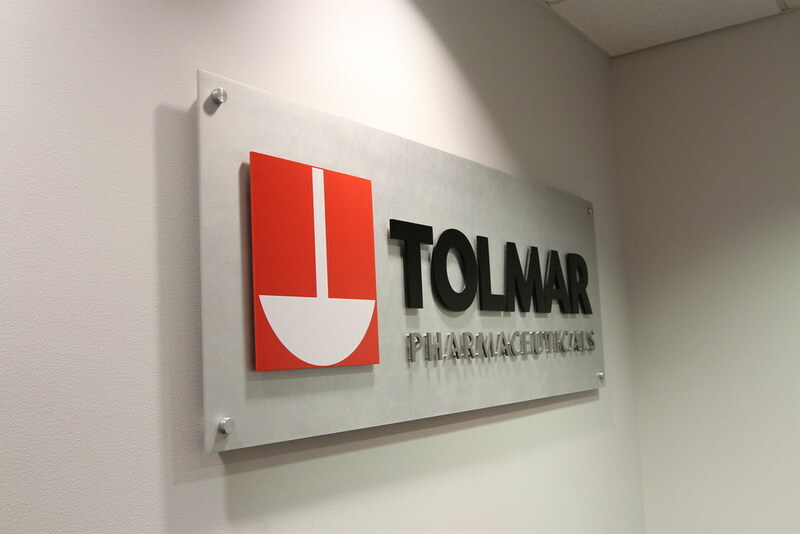 Placing your sign on a panel adds an architectural element and is ideal for making your sign stand out from the color of the wall. 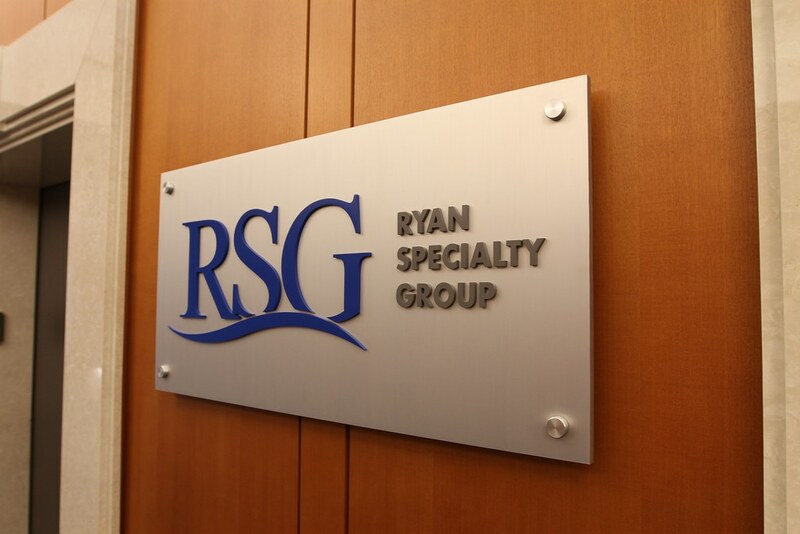 It’s especially useful if the color of your logo won’t work well on your wall color or if you’re installing a sign on a difficult surface such as stone tile or granite. 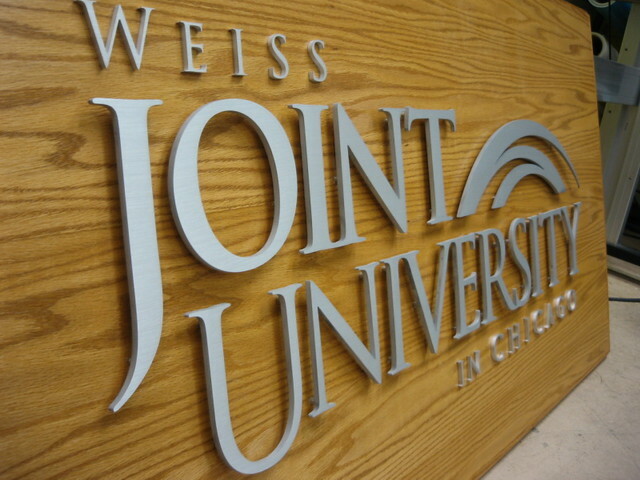 Panel signs are also easier to move. 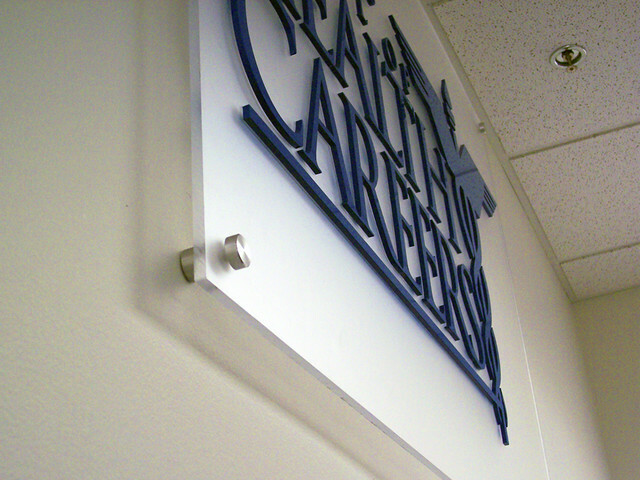 Stand-off hardware in aluminum for an architectural look that makes your sign float off the wall. 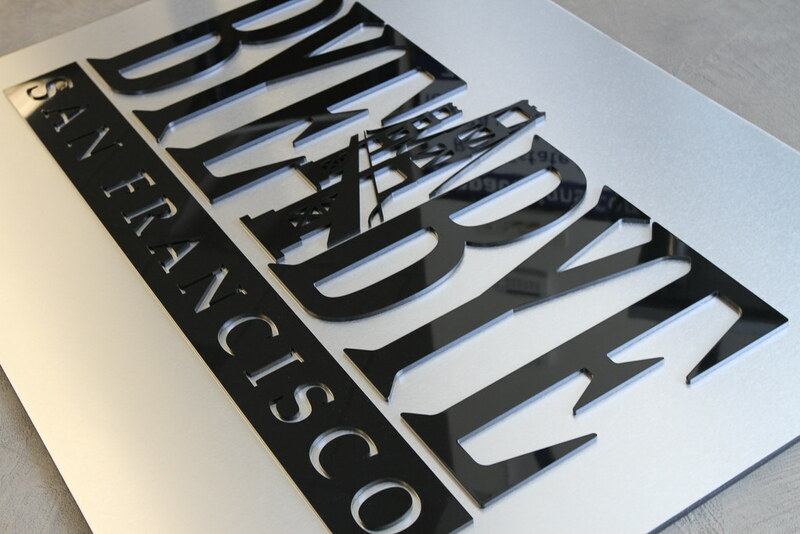 With vinyl decal applied logo, raised cut acrylic, metal laminate or solid cut metal letters. 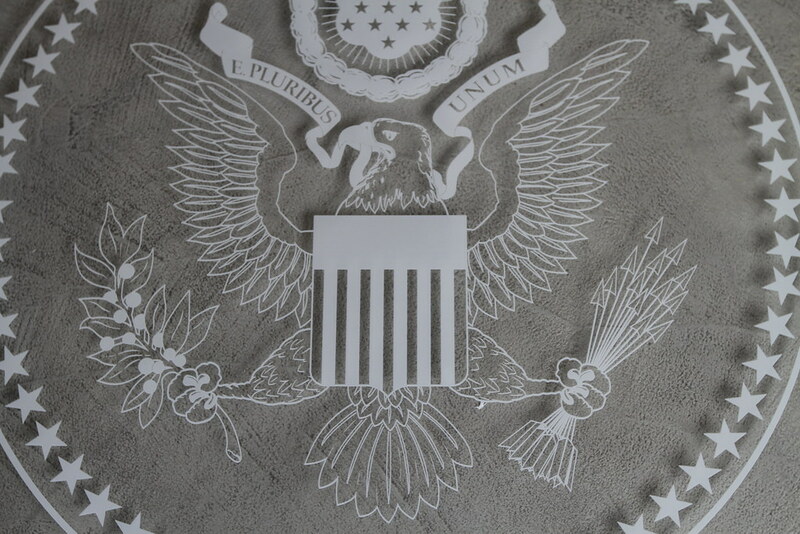 Optional solid color applied on back. 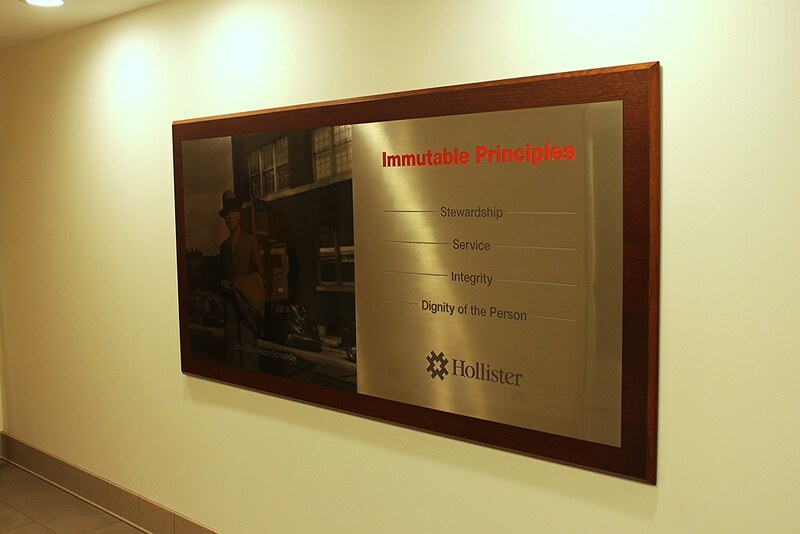 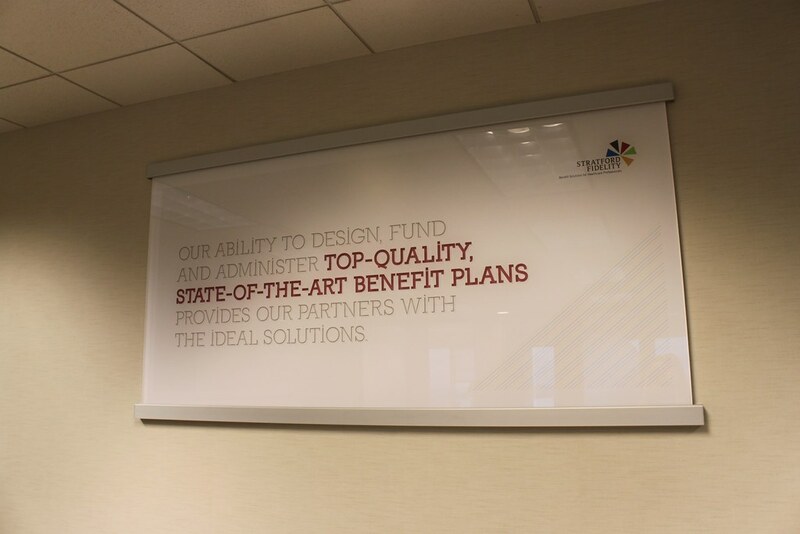 Our most cost effective option for a professional lobby sign. 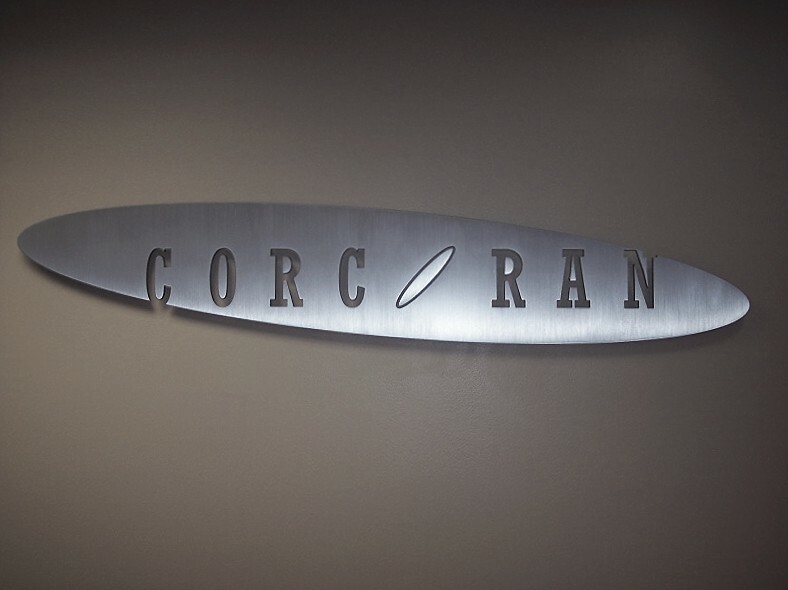 Installed with stand-offs. 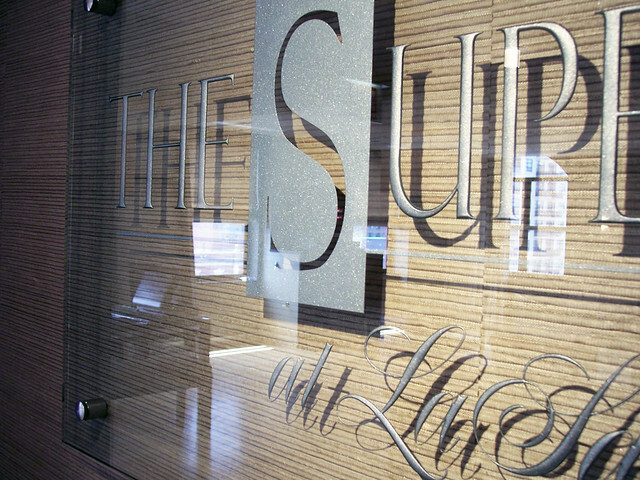 Simulates the look of etched glass and is one of our most popular options. 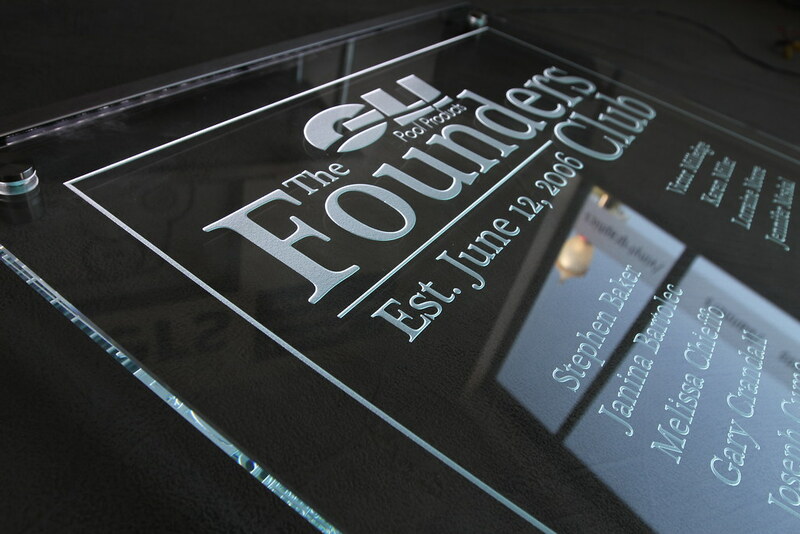 It typically has a vinyl decal logo, cut acrylic, metal laminate or solid cut metal letters, along with an optional solid color on back. 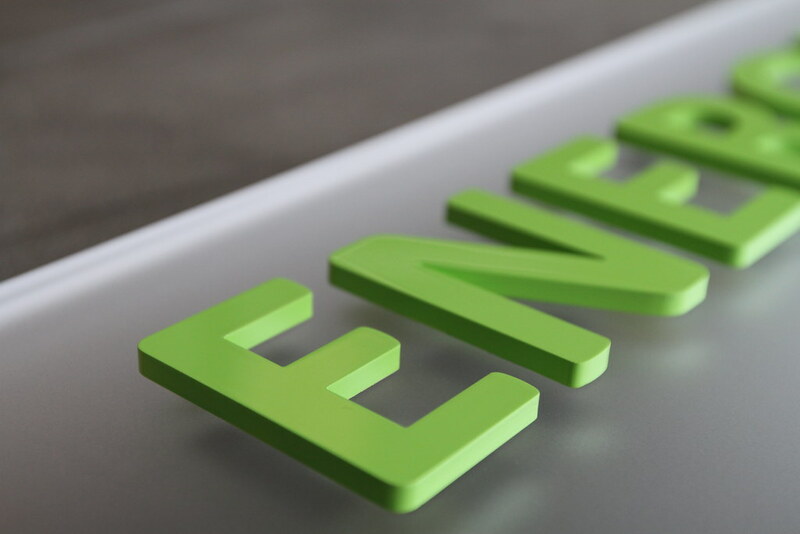 Installed with stand-offs. 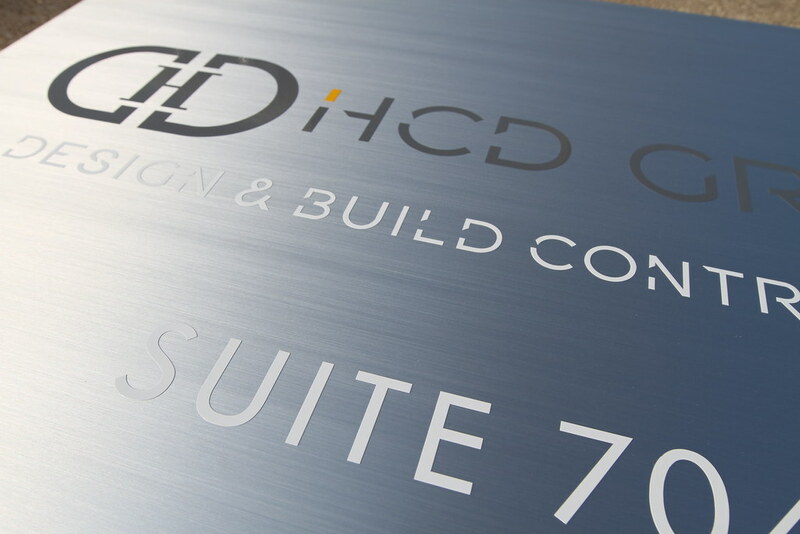 A Solid aluminum panel with brushed finish. 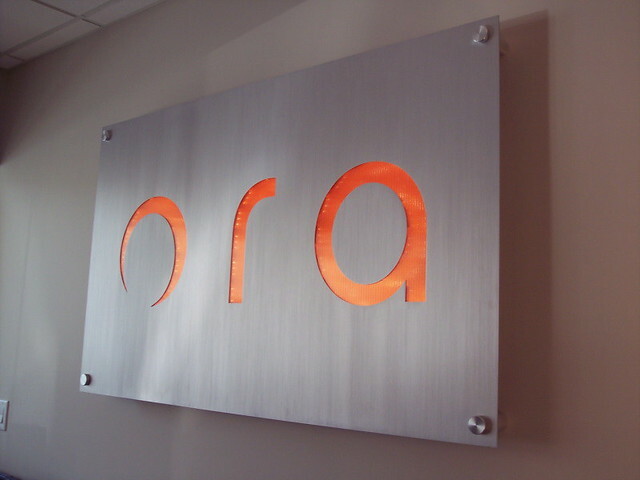 Optional painted, polished, or orbital sanded panel finishes. 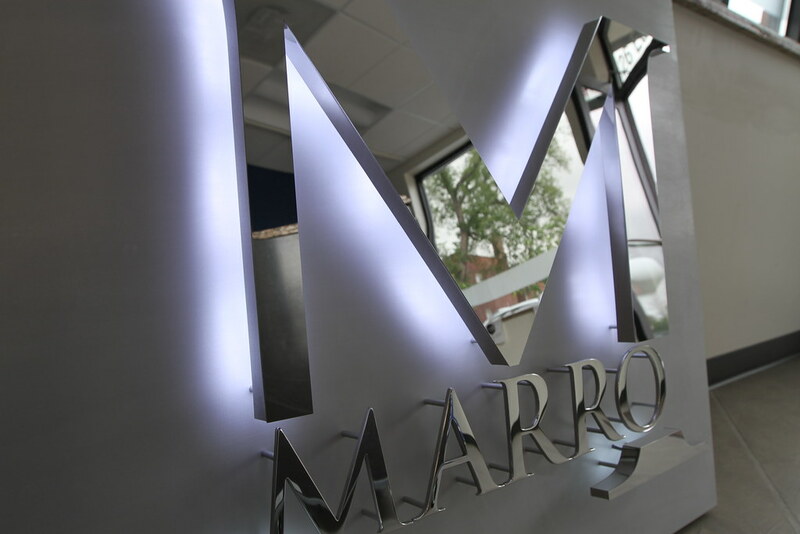 Metal letters can then be assembled flush, or floating off the panel with spacers for a striking look. 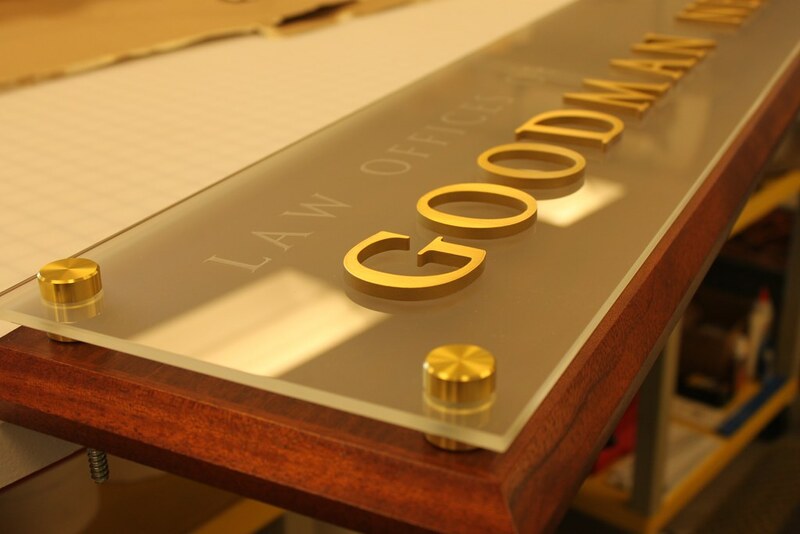 We begin with a clear or colored acrylic panel, and apply a real metal laminate on the face. 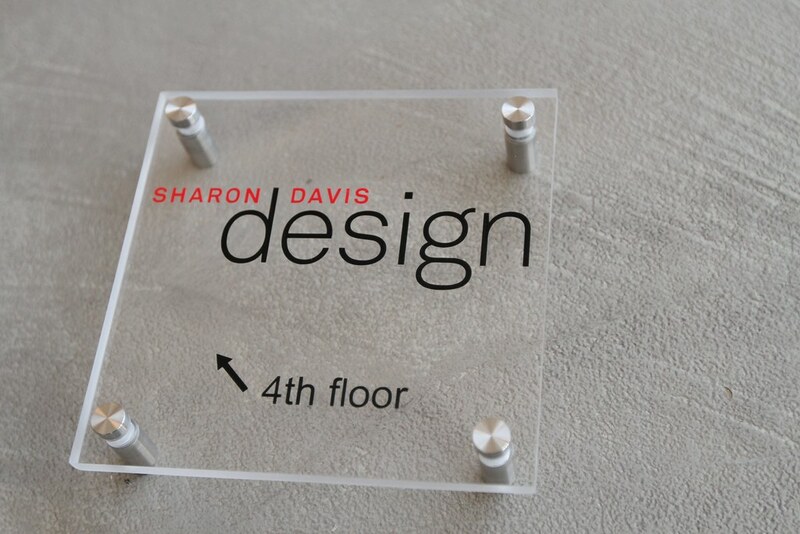 Raised acrylic or cut metal logo is assembled flush to the face. 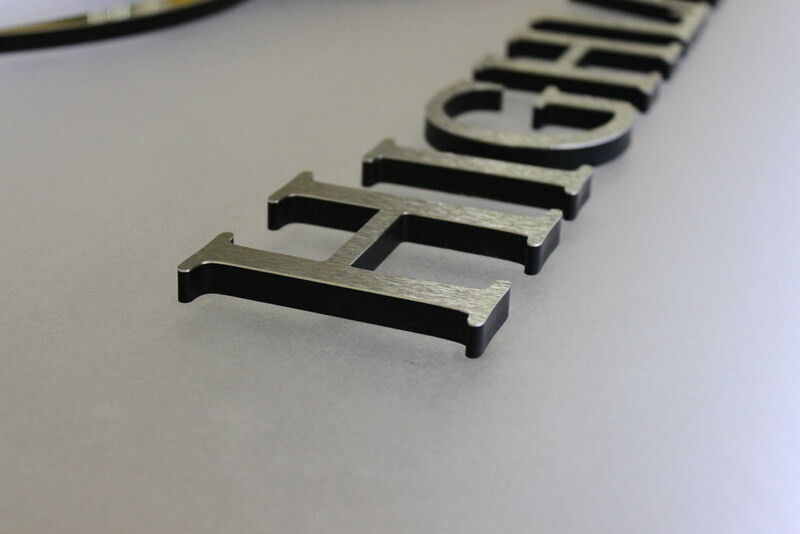 With your choice of standard stain finishes (link to) and raised metal letters such as brass, bronze or the popular stainless steel. 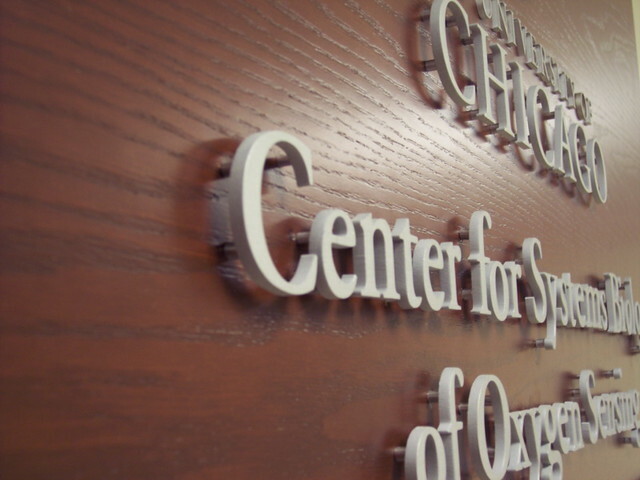 Wood panel can have a bevelled edge. 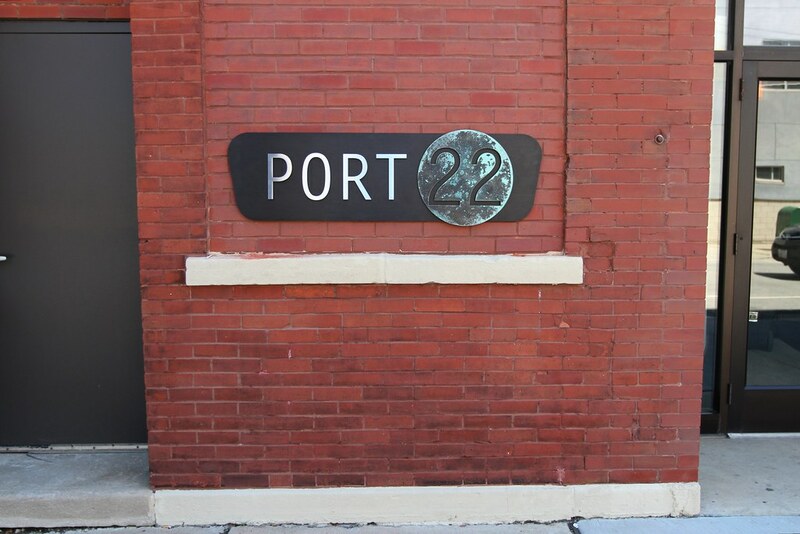 Installation with blind cleat mount. 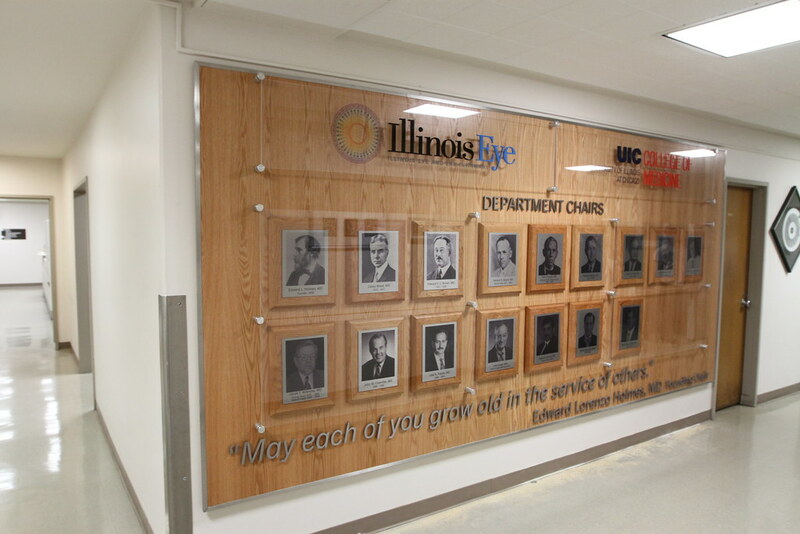 Live edge wood is a highly customized panel. 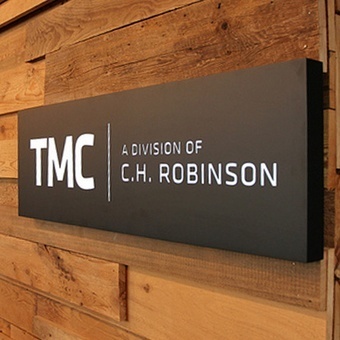 We source a piece of live-edge wood that serves as a backdrop for your cut metal logo. 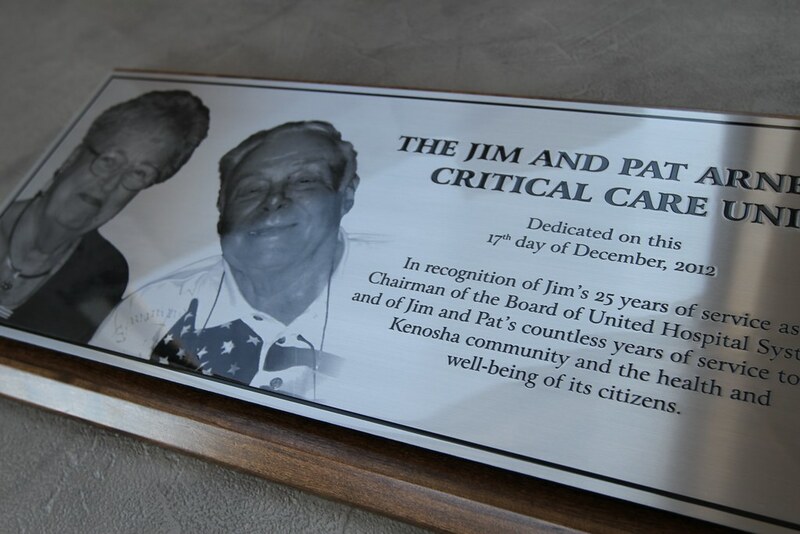 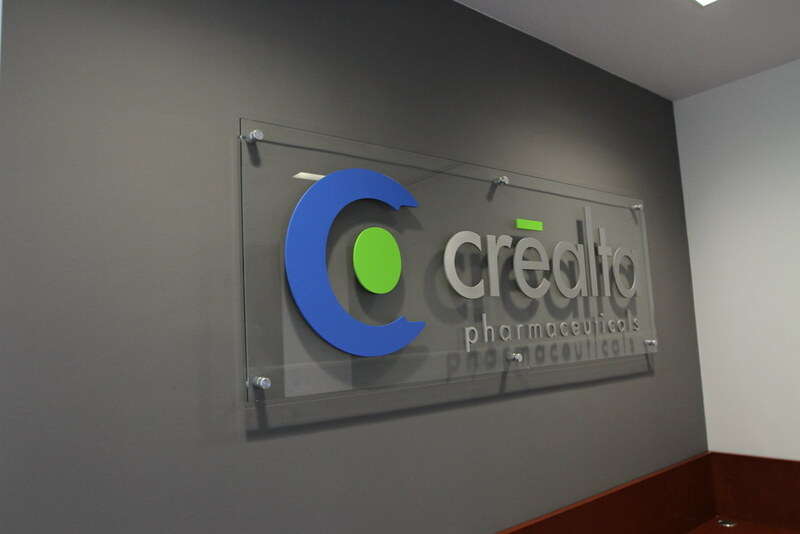 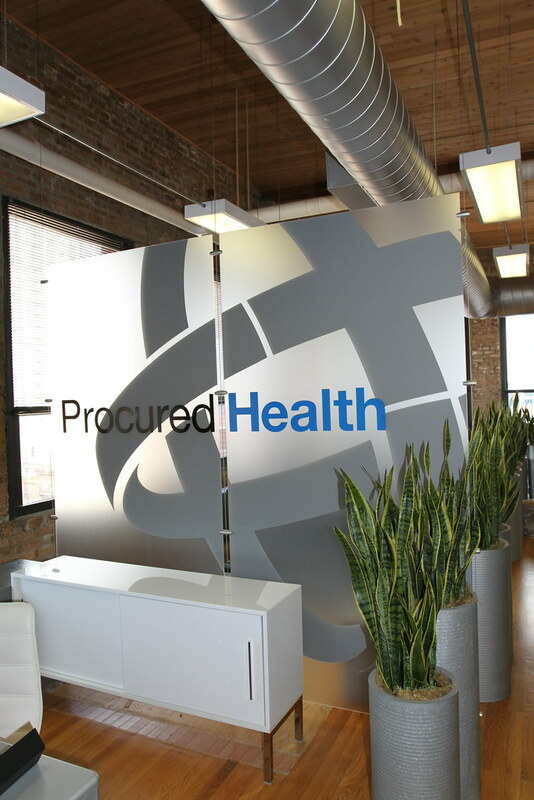 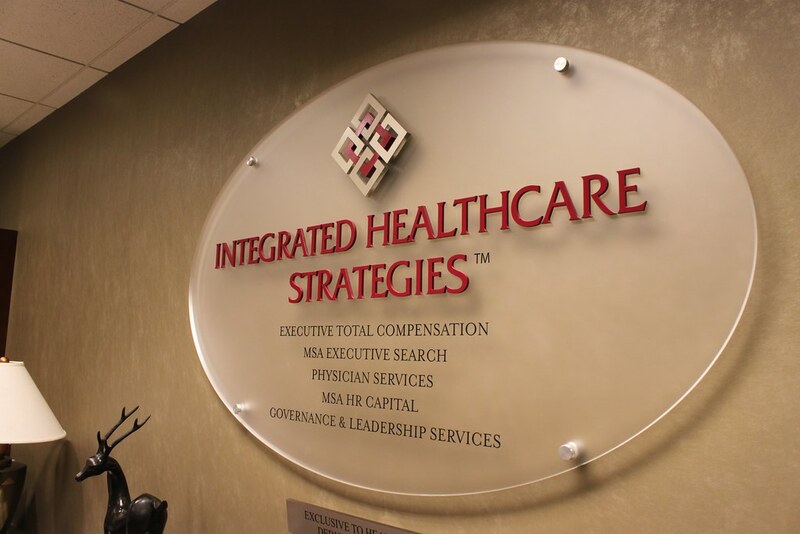 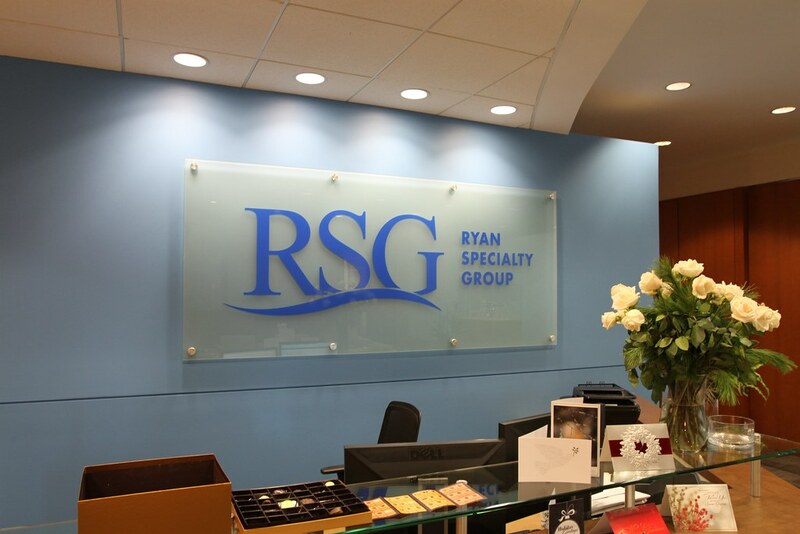 Etched and frosted glass are our highest-end signs. 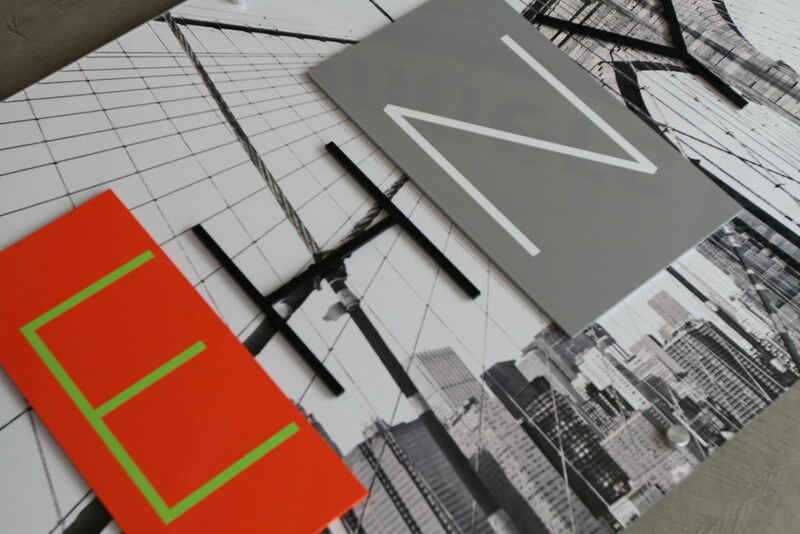 They double as pieces of art and can easily accommodate intricate logos and crystal-clear fine text. 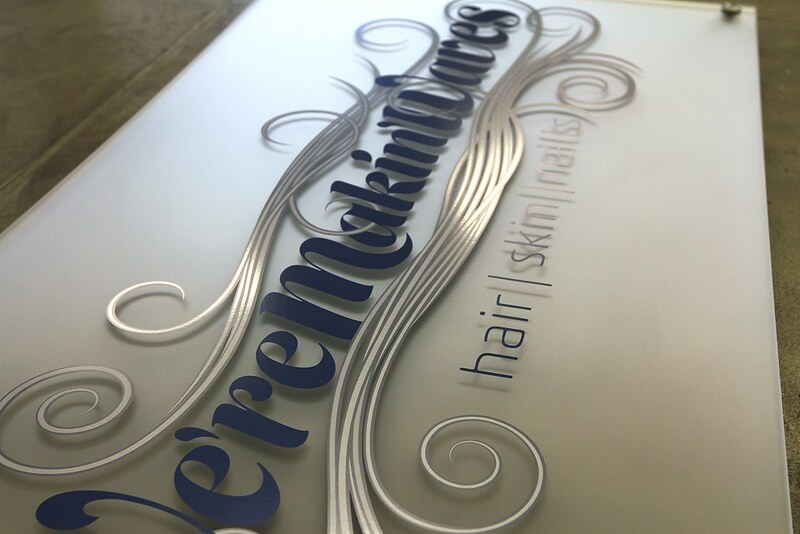 Your logo is typically etched on the reverse side and paint-filled in your colors or a metallic paint. 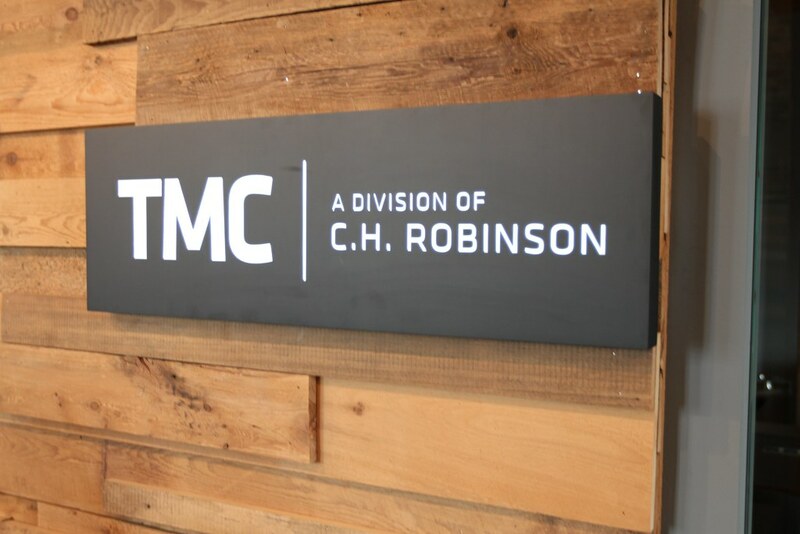 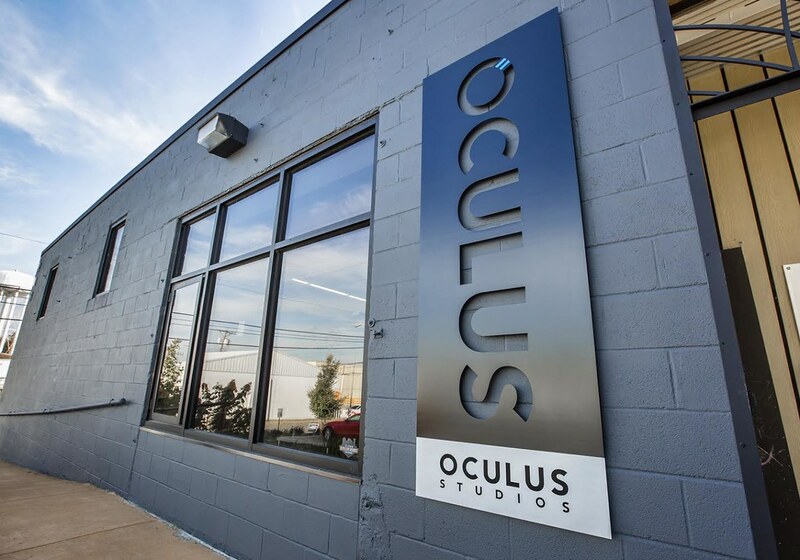 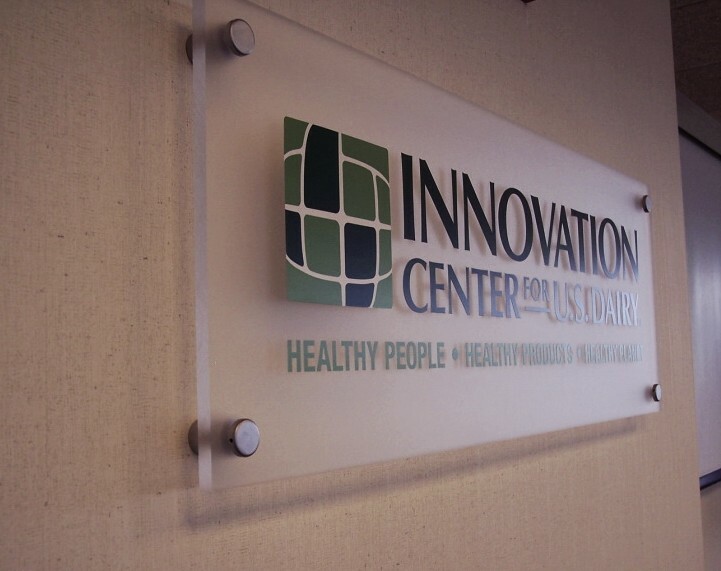 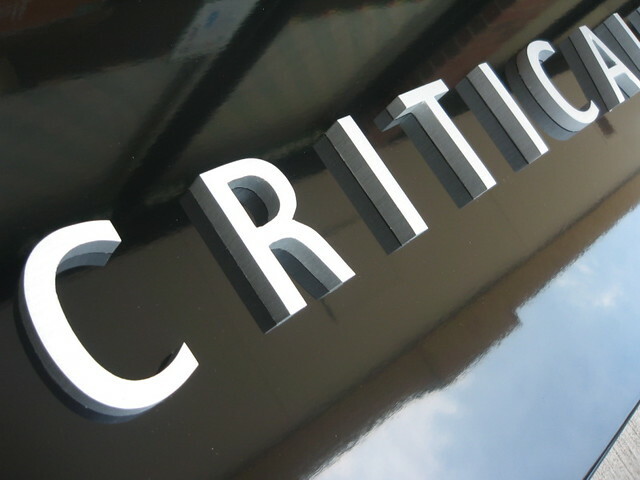 Clear or frosted glass panels can also accommodate raised cut metal letters - stainless steel, aluminum, brass, or bronze - assembled flush to the face with a high bond architectural grade adhesive. 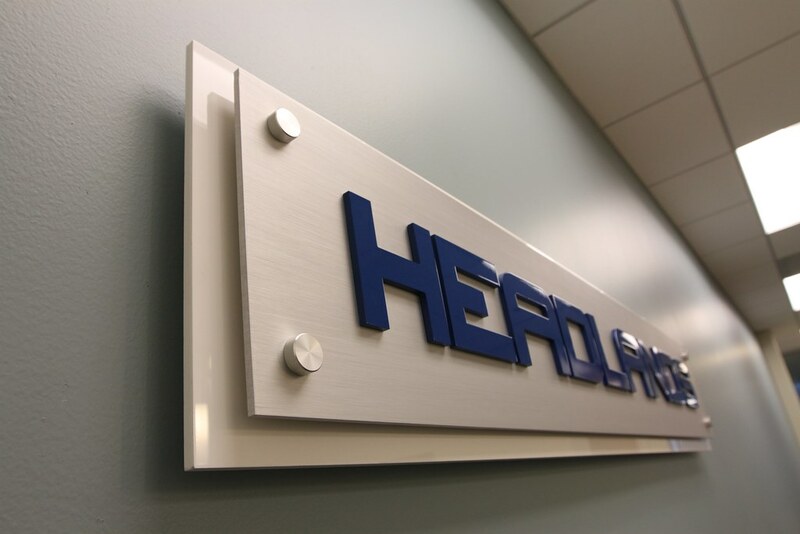 Your logo is reverse cut out of a solid aluminum panel. 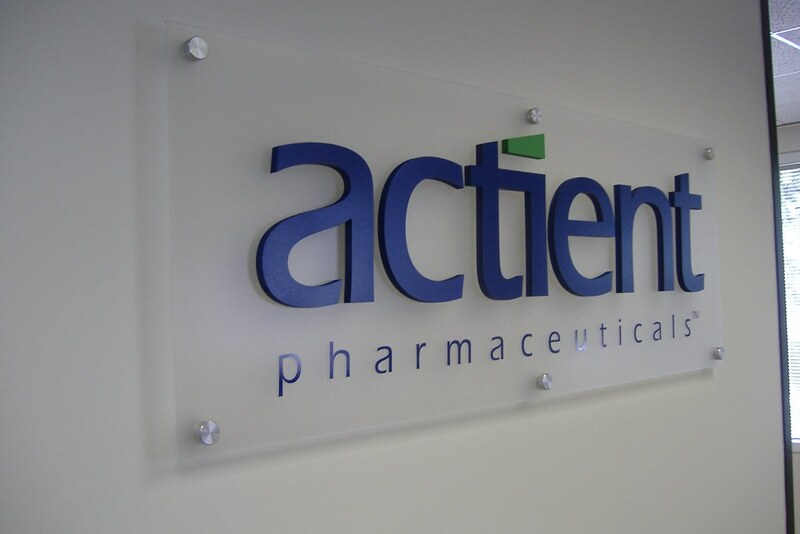 It features a translucent backer in your logo colors, lit with an LED light box behind the panel and installed with stand-off hardware. 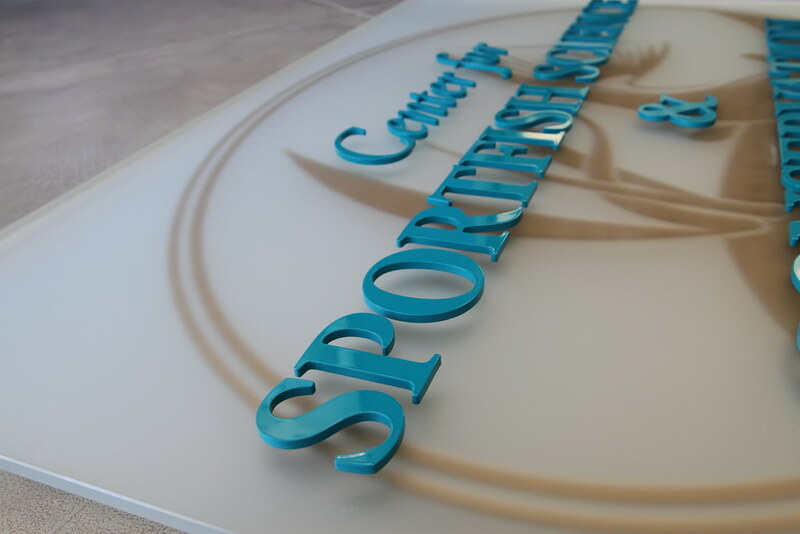 Your logo is reverse-cut out of a fabricated aluminum panel, typically 2-3” deep. 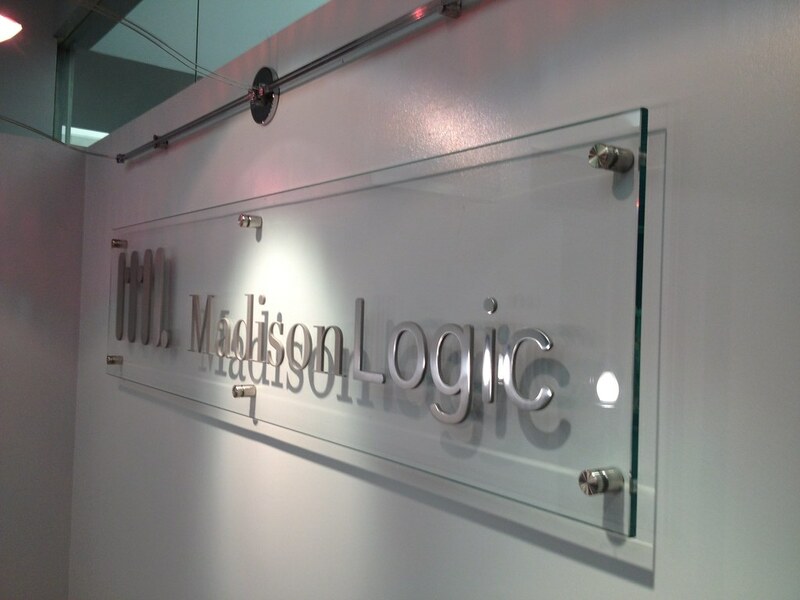 It features a translucent backer in your logo colors, lit with an LED light box behind the panel. 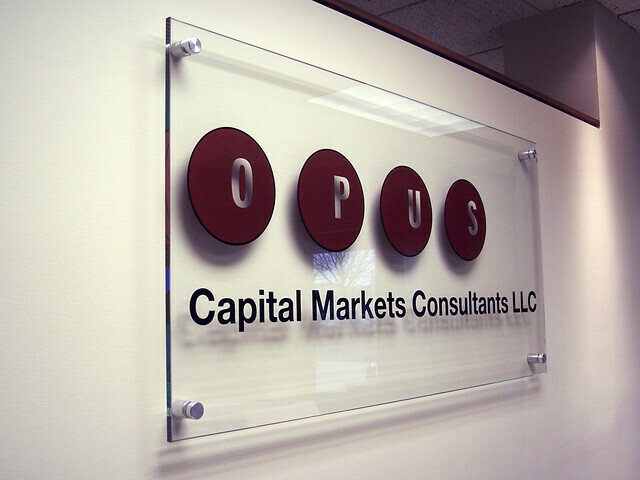 Same as the above, with acrylic raised letters “push thru” a fabricated aluminum panel of 2-3” deep. 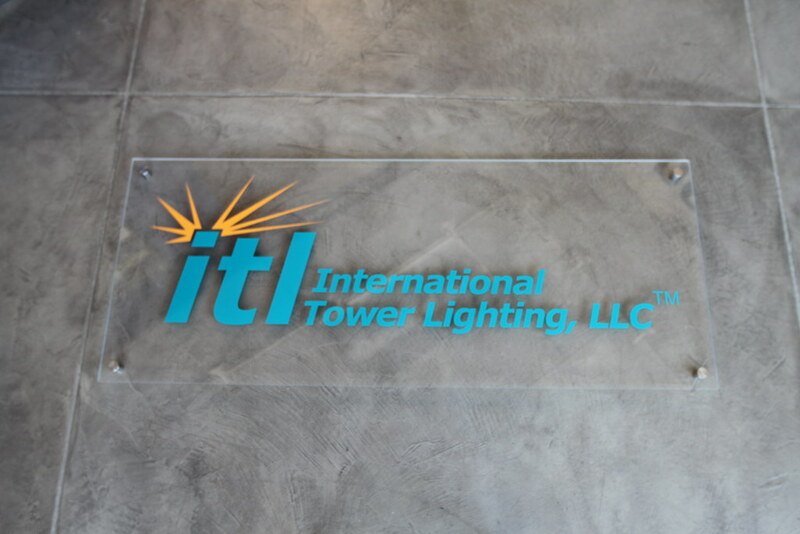 It features a translucent backer in your logo colors, lit with an LED light box behind the panel. 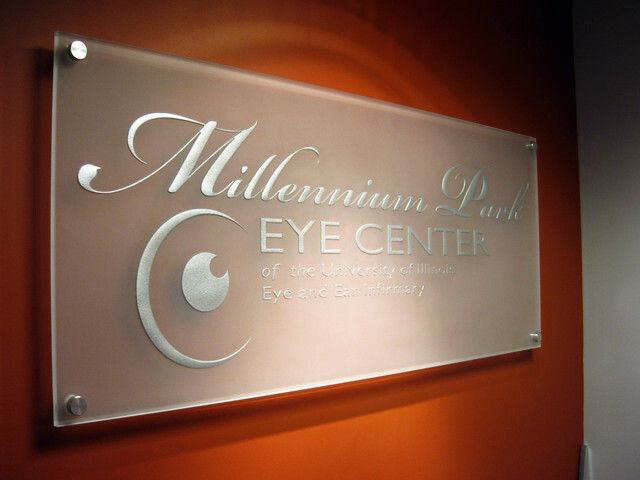 The raised acrylic letters can be in your colors, frosted face, or a metal laminate on the face. 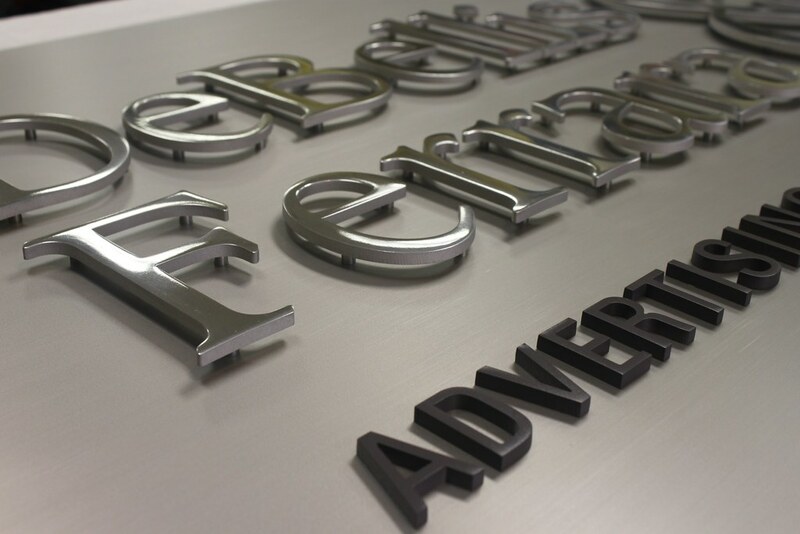 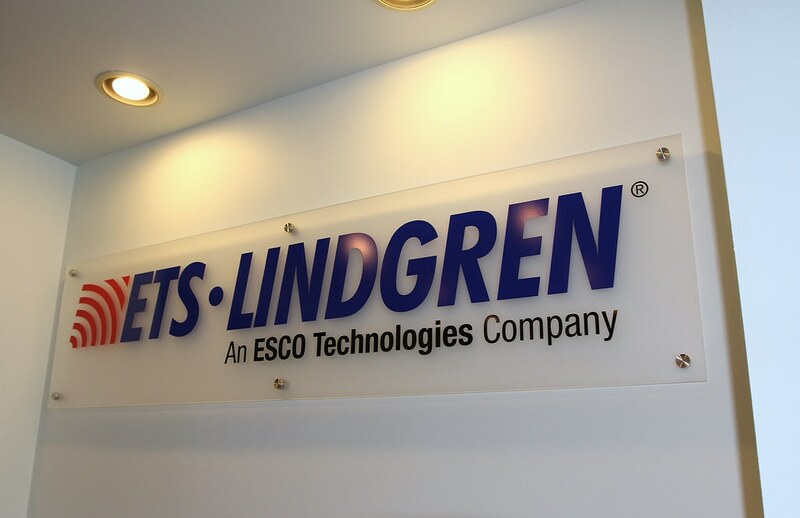 Your logo reverse cut from a fabricated stainless steel panel, with push thru acrylic letters, and brushed stainless steel faces, for a striking edgelit letter effect. 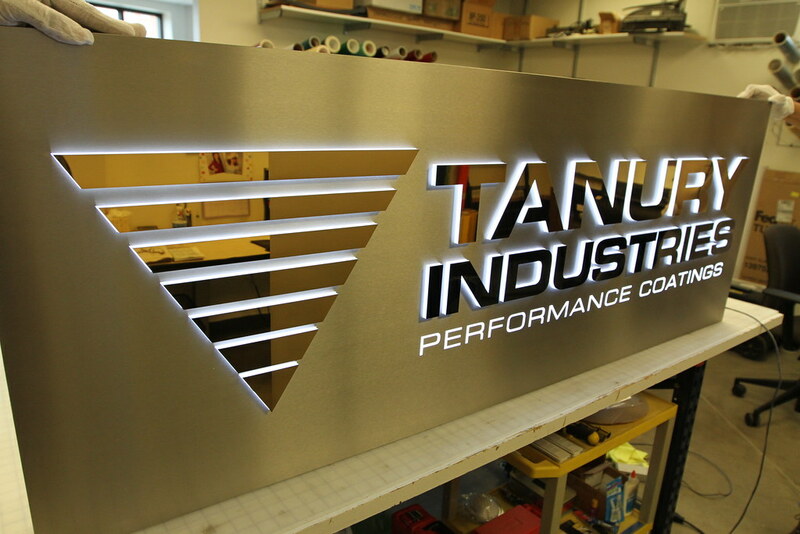 satin aluminum logo with reverse cut out letters. 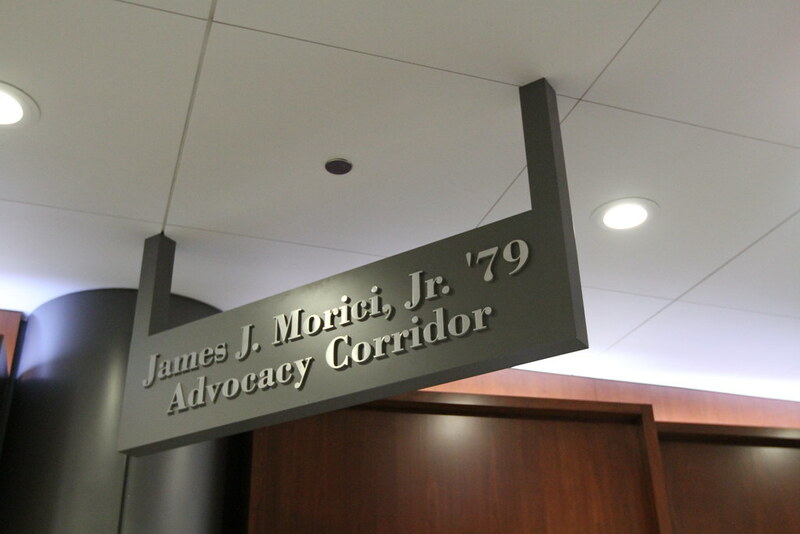 Fabricated Metal Panel Painted custom colors and additional vinyl graphics applied to face. 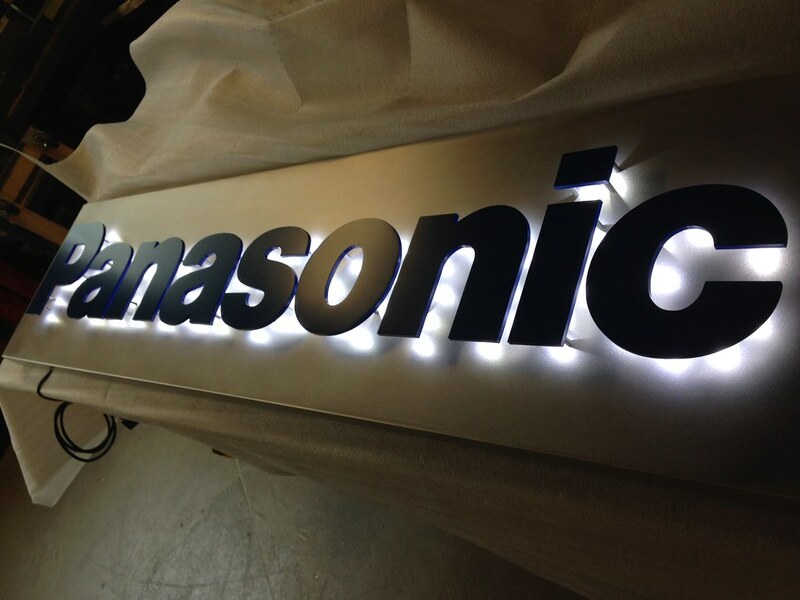 Cut Aluminum Letters with LED's applied to backs installed on Fabricated Aluminum Panel.